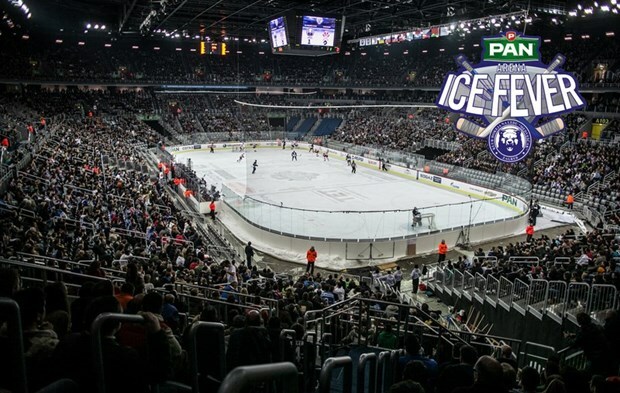 ‘Ice Fever’ has struck Zagreb, and the KHL’s newest club, Medveščak, are on their way to their first playoff appearance. Medveščak’s debut season in the KHL has been a successful one. The club is getting ready to finish off the regular season, and is gearing up for the playoffs. The Bears officially achieved their post-season aspirations on Saturday when they beat Lokomotiva Yaroslav with a score of 1-0 in front of a sell-out crowd of 15,200 at Arena Zagreb. Forward, Mike Glumac, was the lone scorer in the game. Glumac put in the game-winner in the second period for his third goal of the season. The sell out crowd at the arena was a special one on this occasion. It was their goal to break the world record for loudest sports arena. 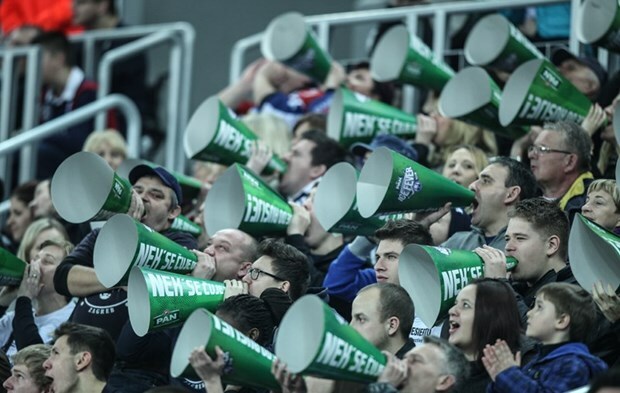 Fans gathered green paper megaphones during the second period, and made as much noise as possible, creating a sound that was measured at 130.02 decibels. ”I was on the bench at that moment, and when they started cheering I got goose bumps from how loud it was. Congratulations to all of the fans for that incredible atmosphere and for another record that we’ve broken. 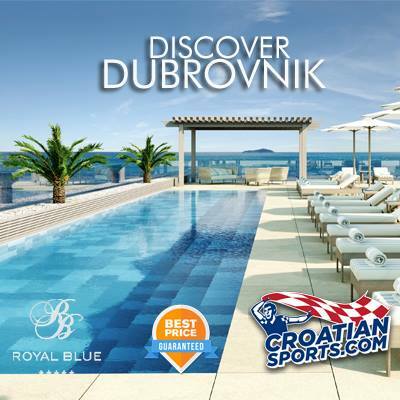 It was an incredible feeling’,” said defenseman Saša Martinović. The breaking of this record came on the heels of fans breaking another record. During the match on Thursday against Atlant, fans broke the record for most Medveščak scarves at a single game, totaling 2,832. The fan celebrations will continue, as they will try to break a third record on Monday, which will be the final home game of the regular season. Fans are all asked to wear Medveščak gear, and try to break the record for most Medveščak logos present at a single game. The league will enter the Olympic break after Monday’s game, but will resume on February 26th with a trip to Riga. The final game of the regular season will take place on March 4th. Awesome to hear about a good first season. But, that record for noise is complete BS. They used artificial noisemakers. 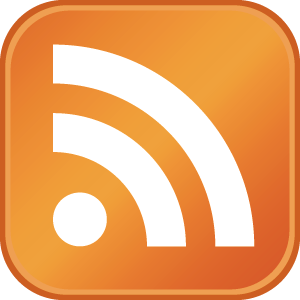 saying the noise came due to artificial noisemakers is not being negative. its being factual. The fan support for Medvescak is great. All props to them. @ Annonymous – I am quite sure that Corey Sarich of the Colorado Avalanche is of Croatian ancestry as well. I grew up a die hard Nordiques fan and have followed them ever since they moved to Colorado. 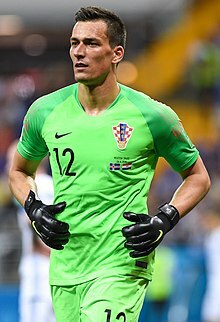 Does anyone know where to get a Croatian Hockey Jersey? I have tried the IIHF website and no luck. Much like Seattle and their stadium designed to echo the acoustics as well as pumping in sound through the speakers. Kansas City’s noise record is the only legitimate one to me. They did it in a bowl type stadium that was built 50 years ago. @Poglavnik – Nonsense. NFL and Guiness have already confirmed that “Pumped in crowd noise” doesn’t exist at CenturyLink. Plus, the CLink is far quieter than the King Dome ever was. Bottom line, Seattle fans are loud as hell. You guys are crazy loud there for any sport. And I think the “Clink” was the first stadium credited with being built to trap noise. The Eagles are adding a few thousand seats to the “Linc” and apparently are trying to fill the gaps to trap the sound better. Everyone has been trying to maximize that aspect of home field advantage now. Every Makedonac claims to be part Croat. Isn’t Travis Zajac of the devils Croatian. They murder the pronunciation but I have a feeling he’s at least part Cro. Can anyone confirm this? 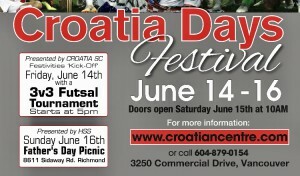 I’ve heard that he’s 100% Polish, 100% Ukrainian, and 100% Croatian, with grandparents living somewhere in Cro. Someone told me a while ago that he confirmed his Ukraininan-ness via an interview, but who knows. If anyone misunderstands…….. He’s awesome …Only oiler that has guts to play and fight!! !